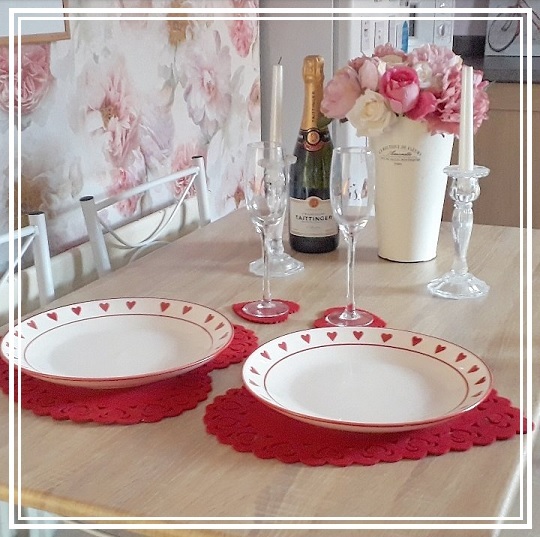 I'm unsure about everyone else but I know from my personal experiences over the years that sometimes Valentines Day can be so expensive, so I wanted to share with you a romatic and cost-saving way to have a beautiful expensive looking meal with your loved one all thanks to Home Bargains'* gorgeous table wear and home decor. When it comes to a bargain and home decor, Home Bargains* is one of my favourite stores ever! They always have the best items for making your space look so gorgeous for such wonderful value for money. What do you think of our table for Valentines Day this year? Would staying home and decorating your table be something you would consider doing instead of going out? I'd love to know what you think so let me know your thoughts by leaving me a comment below. I might sound silly, but I don’t think I’ve seen a HB in London unless I seriously don’t go out offer but I have outside of London and I’ve only been once and I fell in love! These are some cute stuff and now I want to get them myself! I haven't been to Home Bargains in ages but they always have such nice items! 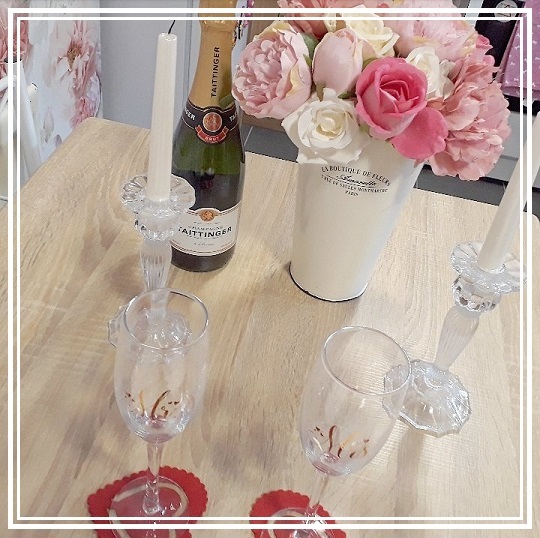 Love those champagne flutes! so cute! This looks fab and for such good value! I much prefer staying in for Valentine’s Day. Love those coasters! The glasses are so cute! Home bargains is amazing if you dont want to overspend but still want cute decor! I really like the way you've come up with a reasonable way to make the night special! I wish we had a Home Bargains here, but we don't - but you've inspired me to visit some other similar shops in the area. Happy Valentine's Day! Ao wow! your setup is lovely! you had me with the flowers:) I just love their colors, so romantic. 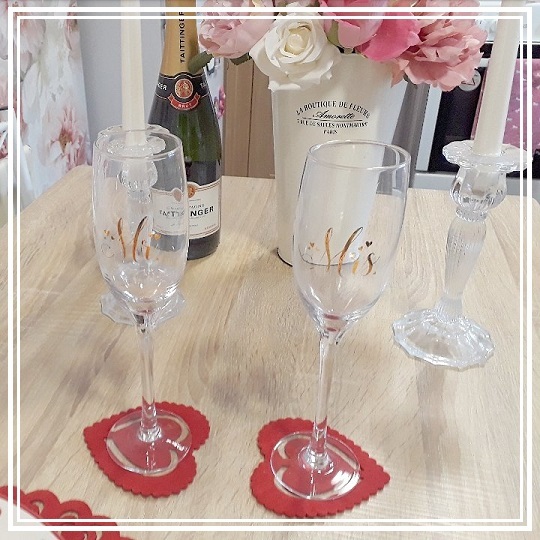 Perfect for a nice evening together at home to celebrate love. We don't celebrate Valentine's Day but I love Home Bargains! You can get such great items from there! Home bargains do some amazing stuff! I love their foodie bit too! These are so cute! V-Day can be really expensive, so it's nice to know that there are viable alternatives. Thanks for sharing! Oh, I'm always up for a good bargain! I make sure I'm price-conscious of everything I do :) Your table looks stunning, by the way! Thanks for sharing! i adore home bargains - there's nothing they don't do! looks like you had a lovely V Day!! I much prefer staying at home. The restaurants and bars are too crowded.